We would like to encourage combinations hunts for several different reasons. Our legal shooting hours for pheasants doesn't start until noon during early season and 10 a.m. late season. Therefore, we hunt geese early and pheasants later in the day. It's a complete hunting experience that we feel will bring you back year after year. 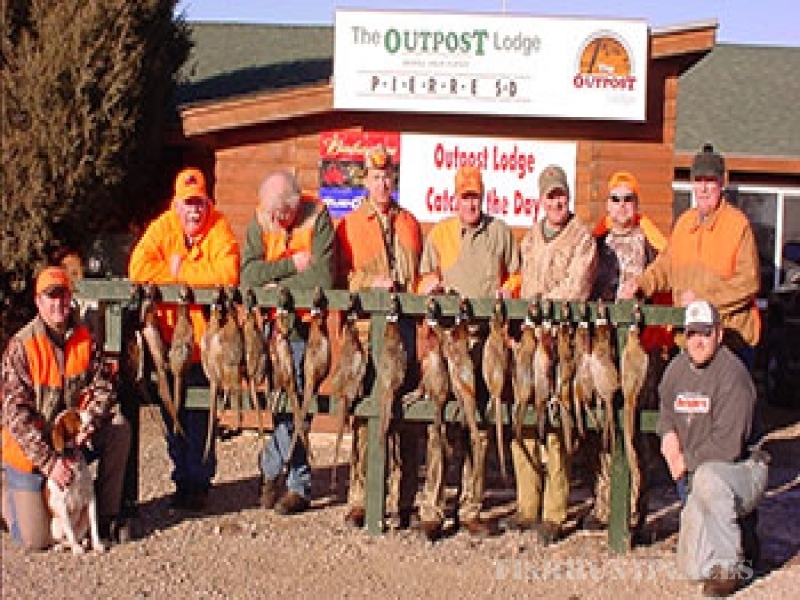 Pheasant season opens the third weekend in October. For combo hunters, our goose season is on also.Important: Waterfowl hunts must submit their application early or have me do it for you. 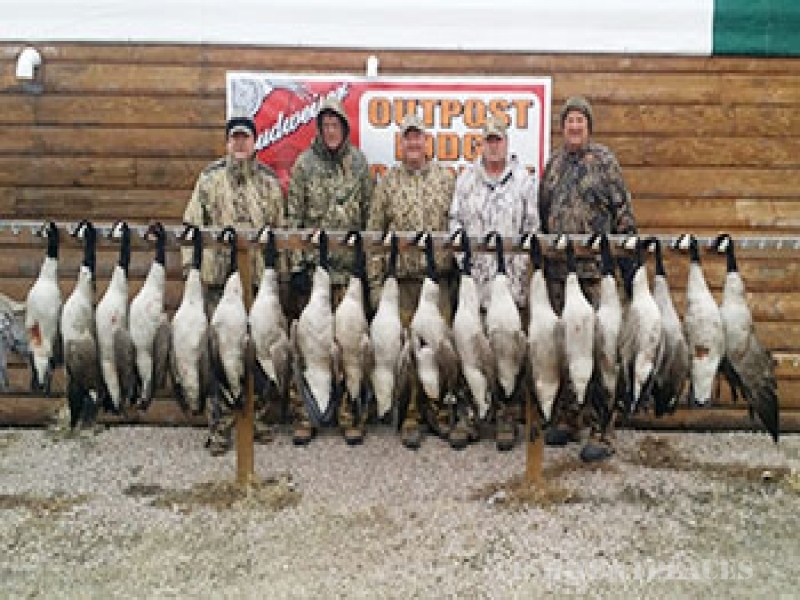 Last year we ran out of out-of-state waterfowl permits before our season started. If you plan on waterfowl hunting let me know as soon as possible. 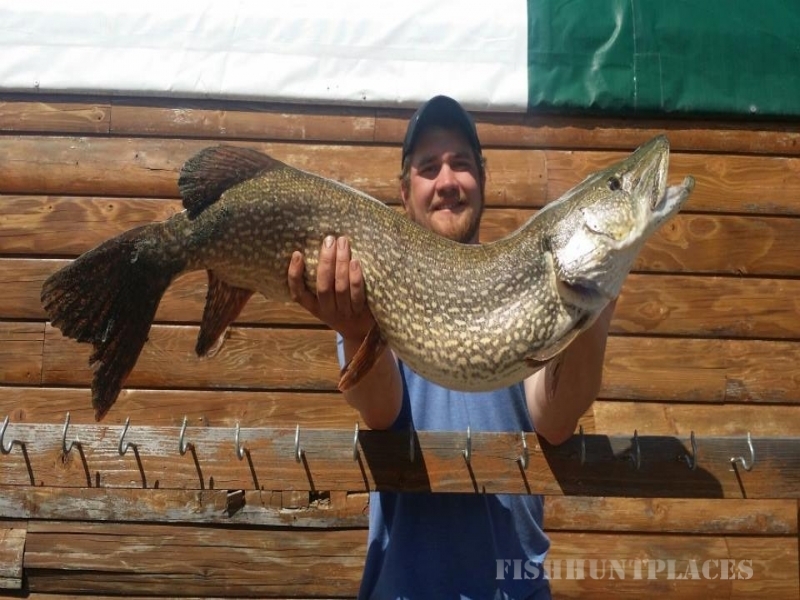 Our fishing usually starts in mid- April right after the ice goes out, which is prime time for trophy northern pike, and the bite runs into the fall. 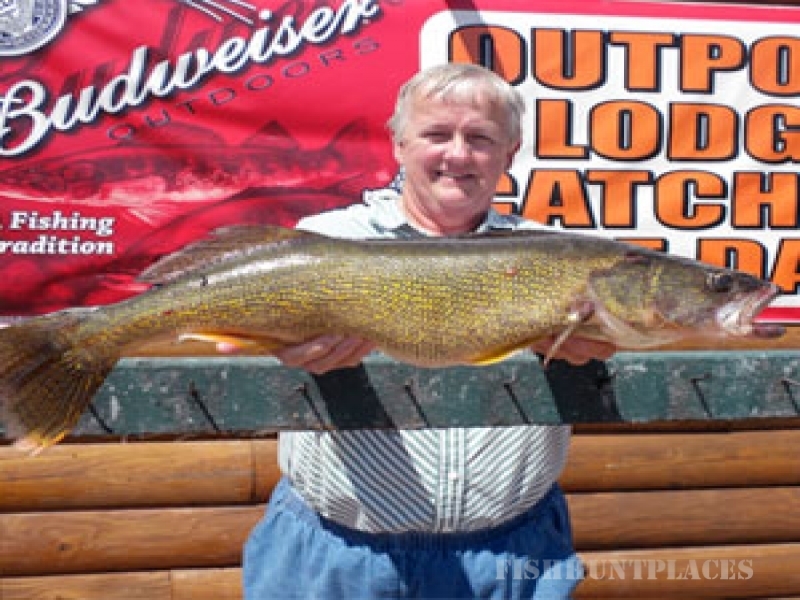 Lake Oahe boasts fantastic fishing for Walleye, Northern pike, smallmouth bass, catfish, white bass, and salmon. 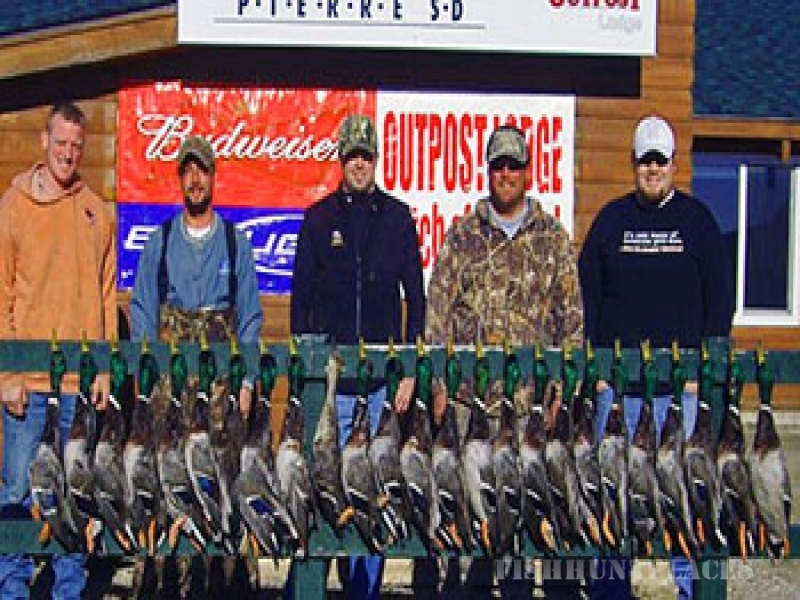 We have highly qualified guides that we can set up for you, as well as lodging and meals. You may book as either a package or day rates whatever you prefer. 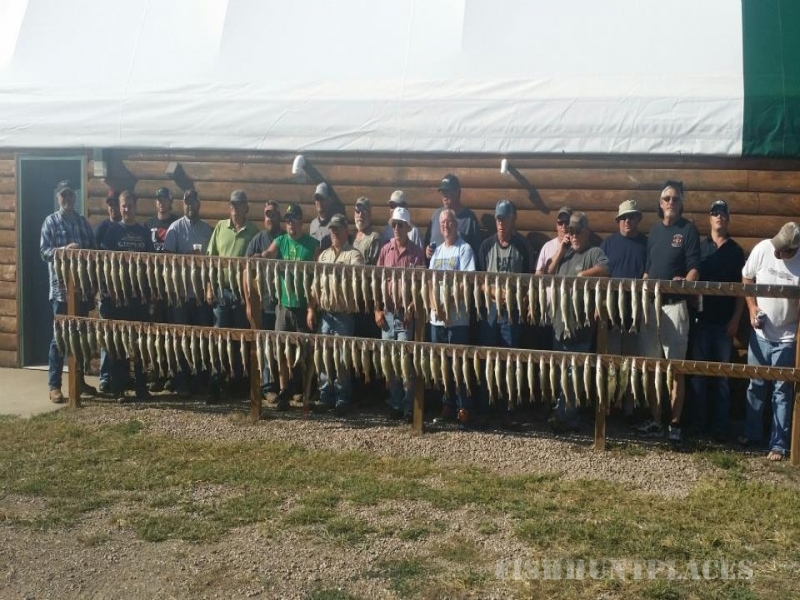 2015 daily limits on Lake Oahe for Walleye are 4 with 8 in possession per fisherman, this limit may include no more than 1 - 20” or longer. 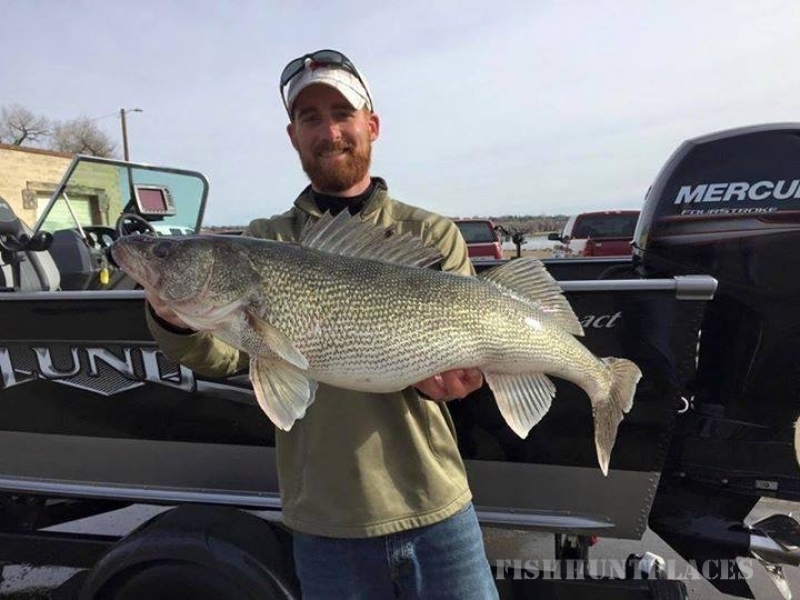 For those that enjoy fishing on their own, we are always willing to share the latest information we have as to where the bite is going on and the tackle/bait being used. Adjacent to the lodge is a 4 stall cement boat launch and fish cleaning station operated by the Game, Fish and Parks Department.